Just got back from a long trip across state to purchase a Jeep Grand Cherokee that I came across late last night. I am beyond pleased with how everything went. Enzo made sure we got things started that way I could pretty much sign after the test drive and then hit the road. I decided to get over there as soon as possibly after looking for nearly 3 weeks, and I did so in an ice storm. Julian and Enzo, BOTH, stayed nearly an hour after close waiting for me to get there after the awful drive from Grand Rapids (took 3 hours). Julian went through everything for me and made sure I was taken care of. Would highly recommend these two, thank you! We had an excellent experience working with Enzo to buy a car for our daughter. The facility is clean which tells me a lot about a business. Our purchase was efficient and pleasant. The car was clean and ready to go when we arrived to bring it home. I would not hesitate to purchase a car from Enzo at Plymouth Auto Sales again, highly recommended! Very fast to reply to my request for information Set a appointment for Saturday morning met with Julian very nice. I had a car in mind l wanted to look at but he had so many nice cars on the lot I ended up looking and test driving 5 different units Julian did not rush me answered my many question I did decide to purchase a Lincoln MKT ( the one I came to look at) The paper work went very sooth and happy to say I drove my Lincoln home all within a few short hours gave me a very fair trade in price I recommend if your in the market for a used care be sure to look on line at Plymouth Auto Sales Good people and autos. We just picked up a 2006 Mini Cooper s from Enzo and Julian. They were an absolute dream to work with. We highly recommend them due to their service, knowledge, and incredible attention to our needs and concerns. A joy to buy from. 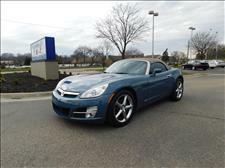 I purchased a 2008 Saturn Sky Turbo sight unseen (which I have never done before),from Julian at plymouth auto sales. It was shipped to palm Springs Ca.. Julian helped me through the whole process including finding me a shipper, He even followed up after the car arrived. It could not have gone smoother The car is in amazing condition I&#39;m extremely satisfied .Thank You Julian ! Knowing that the lease was going to expire on my current car soon, I have been looking for a replacement for a couple of months. I had checked out a couple at other dealerships. I found a 2008 DTS at Plymouth Auto Sales. I got a good deal on a good car. Very pleased with how friendly Enzo and Julian are and how fairly they treated me. I would not hesitate to recommend them to anyone. quick. We would recommend them to all our family and friends. Will definitely use them again. We would give this dealership a 5 star rating. Thank you, again, Julian and Enzo. Extremely happy with our purchase of our red, 2007 Cadillac DTS. A few weeks ago my boyfriend and I bought a used Honda from Enzo and Julian. We had been looking for a used Honda in good condition for quite a while. We took the trip from Mount Clemens to Plymouth and it was well worth it. We received exceptional service from both gentlemen, which we found is rare considering our age and budget. We were treated fairly, and Enzo let us take our time, and was very helpful. We love our car, and we plan to shop at Plymouth Auto Sales again when we are ready to buy a second vehicle. Thank you! Enzo at Plymouth Auto Sales did his best to make sure I was happy with my car and went back and forward between me and his boss (Julian) trying to sell the car at the price I hoped for. Eventually had a good deal. Enzo is excellent in handling customer, he made purchasing so easy right from quote till the vehicle delivery, he&#39;s truthful and straight forward in his communication. He explained everything needed very clearly. I must say I&#39;m very pleased with this purchase. I highly recommend Plymouth Auto sales dealer and Enzo especially! I purchased a 2012 Honda CR-V a couple weeks ago from Plymouth Auto Sales, and even with hitting a few obstacles with the purchase.....the owner and his salesman confidently assured me they would take care of the issue. And they promptly did and offered to go the distance so as not to put me out. I&#39;m very happy with my purchase, it was reasonably priced, in excellent condition, came with a warranty, and I would definitely recommend Plymouth Auto Sales to my friends.  I came to Plymouth Auto in search of a specific vehicle. What a relief to visit a used car dealer where the car wasn&#39;t on a flat or dead battery or looked like the interior was a prior haven to feral pigs!! The car was a great reflection of Plymouth Auto Sales, exactly what I was looking for. My transaction went very smoothly and the quality of the vehicle was excellent. The only issue I had was with the battery. The staff is professional and nice and I would recommend doing business with these fine people. I was impressed immediately with Plymouth Auto Sales. Professional staff, friendly and a knowledgeable sales team. My sales guy was Eric Walton (734-414-1400) and he made the whole process smooth and easy. Eric has a wealth of knowledge about cars, financing and was able to answer all my questions. He worked with my busy schedule and followed up with all my emails and phone calls promptly. Large inventory of clean cars in great conditions (I checked out quite of few before deciding on a late model SUV). Most importantly, I would recommend Eric and Julian to my friends and co-workers! Bought a used Jeep Liberty with my son from Plymouth Auto Sales and was very satisfied with the transaction. The staff was professional and took the time to work through all of our questions and concerns. A pleasure to do business with such a company. Found out a week later that my brother-in-law has also bought several vehicles from Plymouth Auto Sales and was also impressed with the staff and the vehicles he purchased from them for his children. 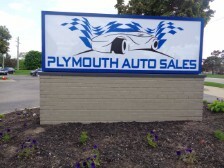 I had a great experience at Plymouth Auto Sales. Very friendly and helpful staff, great cars, with low prices. They were not pushy like other car dealerships, and I felt like I could take my time and really chose the best car for me. At Plymouth Auto Sales we are proud of the quality used cars we sell and our dedication to serve the needs of our customers. This is reflected in the amount of repeat business we receive. Whether this is your first purchase with us or one of many that you’ve had, you can count on our dedicated sales staff to make it the best buying experience possible.